Executive freehold town home located on quaint crescent in desirable Oakville neighbourhood. Completely finished top to bottom this 3+1 Bed, 3.5 bathroom home offers over 1700 sq ft of beautiful open concept living space with 9 Ft Ceilings, modern kitchen with centre island open to bright family room featuring gas fireplace and patio doors to the fenced yard. Second level offers a large master bedroom with W/I closet and 4 Pc Ensuite with separate shower & soaker tub, 2 additional spacious bedrooms and a bonus play area or office area. Main floor laundry & inside entry from the garage with convenient rear yard access. Professionally finished basement featuring recreation room, a 4th bedroom and 3piece bath. Freshly painted throughout. 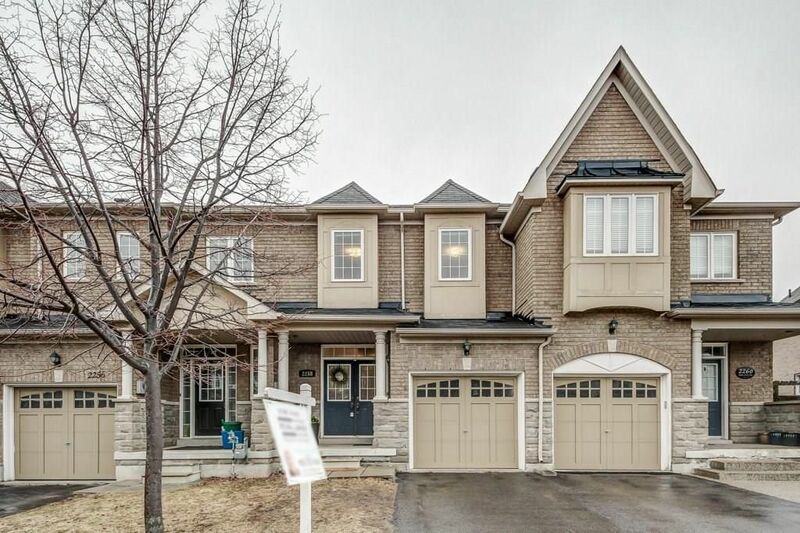 Excellent location walk to new Oakville hospital, Oakville soccer club, community center, Pine Glen park, shopping and restaurants. Close To Emily Carr Public School, Ecole Forest Trail, St. John Paul II Catholic Elementary School. Easy access to GO Train And QEW/407. This is a great family home in a prime location!